Google is the most popular search engine and used by millions of people every second. 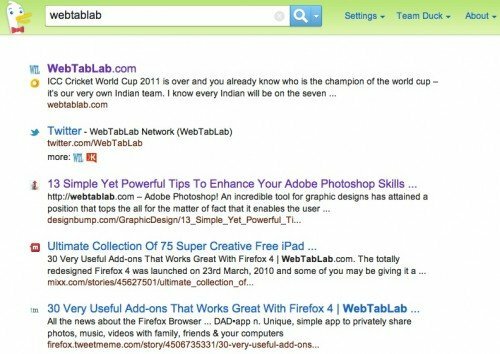 Google search engine is dominating from more than decades but from few years its losing control on webmasters that play with keywords and back-linking techniques to make search on first page. Though, Google has started to take measures against the bad SEO techniques and spam oriented results. Let’s see how it will be changed in the future. If you are too disturbed by useless search in the first page of Google, there are many other ways to do search on the internet. One of them is called Semantic Search engines that works totally different from the traditional search engines such as Google, Yahoo etc. Traditional search engines works on keywords and use ranking algorithms to give results. 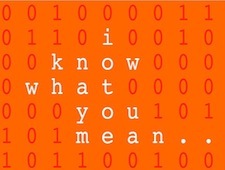 While Semantic search engine is not dependent on keywords or inbuilt links and depends totally on meaning of the query. In simple words, the main agenda of Semantic search engine is to identify the actual meaning of the search query that results in more accurate end results to the user. I am using it from quite a long time and I think it can be the next big thing in the market of online search. If you too want to get accurate results while searching for some information, you can check Top 10 best semantic search engines that I have gathered up for your below. 1. 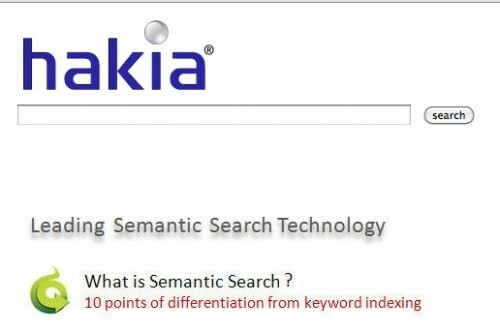 Hakia : hakia is a semantic search technology company. The mission of hakia is to deploy semantic search solutions to meet the challenges of elevated user expectations, business efficiency, and lowest cost. hakia was founded in 2004 and is funded by private institutional and angel investors. Headquartered in Manhattan, New York, hakia has offices and datacenters in Silicon Valley, Maryland, and Tennessee. 3. 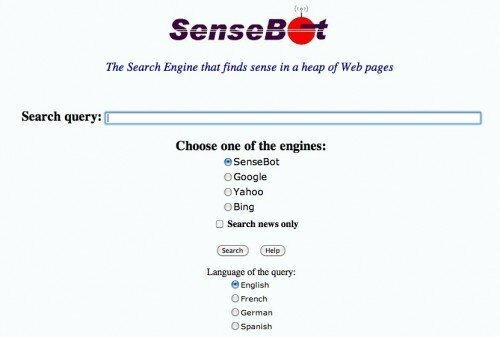 SenseBot : SenseBot is a semantic search engine that generates a text summary of multiple Web pages on the topic of your search query. It uses text mining and multidocument summarization to extract sense from Web pages and present it to the user in a coherent manner. A “Semantic Cloud” of concepts is displayed above the summary, allowing to steer the focus of the results. 4. Kngine : Kngine is Web 3.0 Search Engine (i.e. revolutionary Semantic Search Engine and Question Answer Engine) designed to provide customized meaningful search result, such as: Semantic Information about the keyword/concept, Answer the user’s questions, List of things, Discover the relations between the keywords/concepts, and link the different kind of related information together such as: Movies, Subtitles, Photos, Price at sale store, User reviews, and Influenced story. 5. 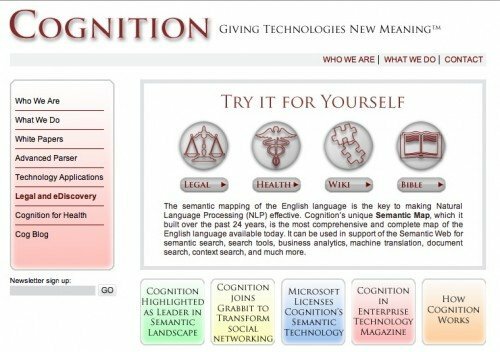 Cognition : Cognition’s Semantic Natural Language Processing (NLP) technologies add word and phrase meaning and understanding to computer applications, providing a technology and/or end-user with actionable content based upon semantic knowledge. This understanding results in simultaneously much higher precision and recall of salient data within the universe of possible results. 6. 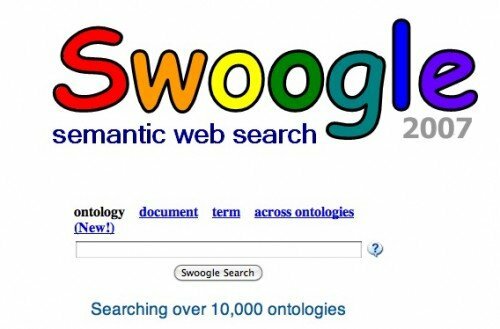 Swoogle : Swoogle is a search engine for the Semantic Web on the Web. Swoogle crawl the World Wide Web for a special class of web documents called Semantic Web documents, which are written in RDF. 7. DuckDuckGo : DuckDuckGo is a search engine with lot of features that will make you leave Google behind. It is a very powerful semantic search engine with classic search and information search. 8. Cluuz : Cluuz search engine presents the user with semantic cluster graphs, tag clouds and relevant images and terms. 9. Factbites : A cross between a search engine and an encyclopedia. The results return complete, informative sentences about the search topic. 10. Evri : As web content continues to explode, trying to filter through the clutter to find the information that really matters can be frustrating. 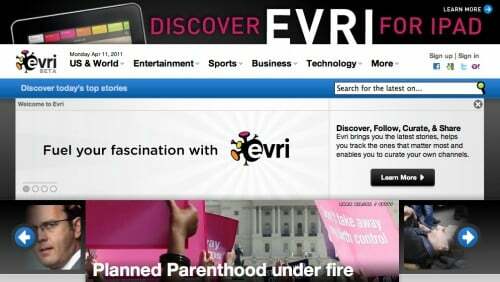 Evri works as a discovery engine, delivering intelligent, real-time streams of information on topics that matter most at that moment: on the web and to the consumer. Uncover the most popular and trending stories, enabling consumers to share and engage with the stories they are most passionate about – in a delightful and unexpected way.